Anneliese is a Dutch national who holds a bachelor degree in Business and Corporate Law from Stiching Juridische Beroepsopleiding in Curaçao and has followed various finance and Tax Law courses. Anneliese has almost 30 years’ experience in the trust business including acting as a director for a Trade Mark Agency company engaged with the registration of Trade Marks in Curaçao. She has worked for Amicorp for over 13 years, and has occupied different positions and managed a large number of portfolios of private and corporate clients, mainly from Europe. 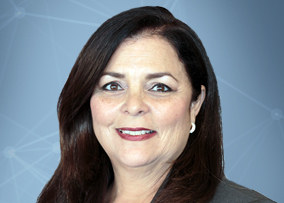 She has also been actively involved with major projects, including the creation of procedures and manuals for Amicorp Curaçao’s ISO certificate, and the creation and maintenance of procedures and templates for legal manuals. As of May 2012, Anneliese is Director of Operations at Amicorp Curaçao B.V. She speaks Dutch, English, Spanish and Papiamento.